WHEN: Saturday, May 18th, event begins with a social hour from 6 p.m. -7:00 p.m. and the show at 7:00 p.m.
Tickets are $10 and can be purchased at https://OutForReel.net. RAFIKI is a beautiful love story and an award-winning film about two bright young Kenyan women who fall in love and support each other’s dreams to go to college and have careers. 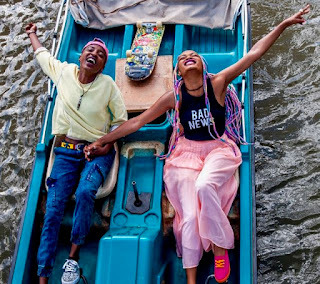 Shown at the Cannes Film Festival to rave reviews, RAFIKI is currently banned in Kenya by the homophobic government due to fears that it “overtly promotes lesbianism.” Join us in watching this wonderful film in honor of all LGBTQ people in Kenya who are denied the right to watch RAFIKI and the right to love who they want to love. Our global fight for LGBTQ equality continues. RAFIKI is one more powerful step forward.